The Annual General Meeting of the Friends of Three Cornered Copse was held at The Poets Corner pub on 3 May, and we were visited by a guest speaker, Alister Peters, our local arboriculturist. Alister works on contract for the council and knows the tree population of Brighton & Hove intimately, including our Three Cornered Copse. 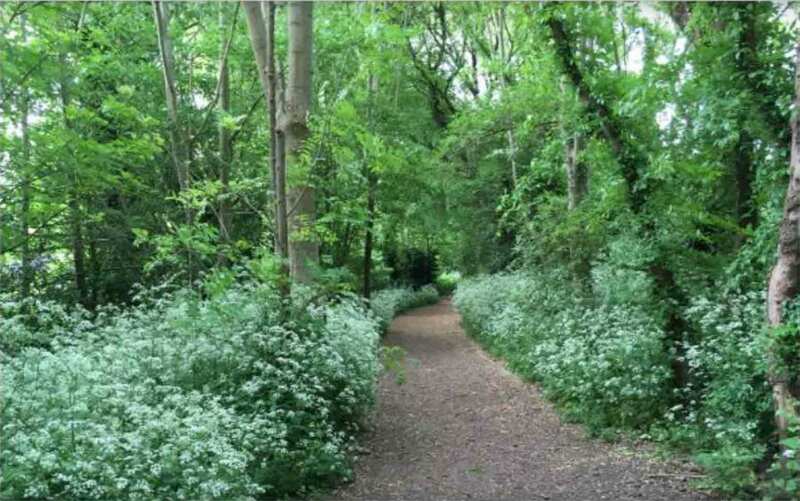 The talk featured how our woodlands will change as the effect of ash dieback (Chalara) starts to bite, and the large amount of work that will be involved in removing some large trees as they begin to fail. He showed us a map of the streets of Hove with each tree of interest documented along the avenues. Alister was around when the 1987 storm devastated the parks, and was involved with much of the clearing in the aftermath. He solved a mystery for those of us who know the copse, by explaining how the white craters in the woodland were formed. The craters can be found alongside the main path through the copse, and have been the subject of several theories of how they came to exist. In fact, the craters were dug to bury the wood debris of the fallen trees in 1987. Through the years the wood has rotted and turned to dust and the earth has fallen into the space, leaving the craters we see now. Mystery solved. We also received some valuable advice on which trees to plant to re-populate the copse, when budget is available. The native species are encouraged, but surprisingly the beeches that dominate the copse prefer a slightly cooler climate than that which we are becoming. Mulberry, lime, tulip trees and broadleaf oak are favoured apparently. Our group has had two workdays recently, but there will be fewer as the summer starts to stretch before us. The greenery needs to develop naturally and we will leave the insects and animals to use it without any disturbance. We did plant a young oak sapling, a gift from one of our members, in the lee of a large ash, ready to take over when it fades.